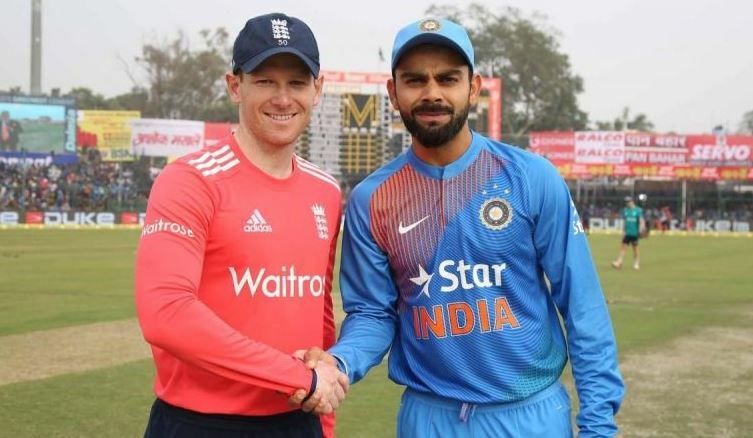 England vs India Live Cricket Score: The first match between England and India set to begin at Old Trafford, Manchester in England. After the two Twenty 20 International Cricket matches against Ireland as a warm-up before facing England who getting bigger now based on their winning performance on recent tournaments. Today’s match will begin at 5:30 PM local time and 10 PM IST on 3rd July at Old Trafford. This is the first match out of three T20I between England and India. The second and third matches will be played on 6th and 8th July respectively at different venues. After that, there will three One day Internationals and five Test Crickets are scheduled to play till September 11, 2018. It is likely that the host will play with their same squad who beat Australia at Edgbaston in the previous tournament, last week. Due to the injuries of Washington Sundar and Jasprit Bumrah, the all-rounder Krunal Pandya and medium pacer Deepak Chahar were added to the India Cricket squad. They both added to the squad only for three Twenty 20 matches. While left-arm spinner Axar Patel has named as Washington’s replacement for the upcoming three-match ODI series against England from 12th June. Sony Ten 3 and Sony Ten 3 HD are having the official broadcast rights to provide live television coverage of this tournament in India. Also, they providing live stream on Sony Liv. In the UK, Sky Sports Main Event and Live streaming on Sky Go.